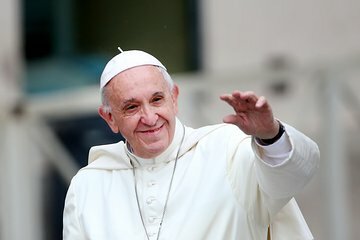 Obtenga una visión de la Argentina del Papa Francisco con este recorrido privado de 3 horas. Descubra los humildes comienzos del papa mientras visita los lugares más importantes, como su antigua escuela, su barrio y la Basílica de San José de Flores. Mientras el guía comparte información sobre la vida temprana del papa y su historia familiar, podrá comprender mejor sus valores y dedicación a la justicia social. It was just my wife and I, the guide and driver! It made for a terrific way to see alot of places without a crowd being along. The guide was very informative, well-spoken, and we got to visit many of the churches and places associated with the life of Pope Francis. It was so nice to be able to pull up to the curb, get out of the car and see something, get back in and off we went as opposed to all the extra time it takes to get off and back on a bus with 40 other people. This was the first time I've ever had a private tour like this, and I'd highly recommend it. Besides visiting the places on the itinerary, our guide also pointed out several different parts of the city along the way. Overall a great experience!